The first stamp of our country, began circulating a 21 August 1856 in the province of Corrientes. 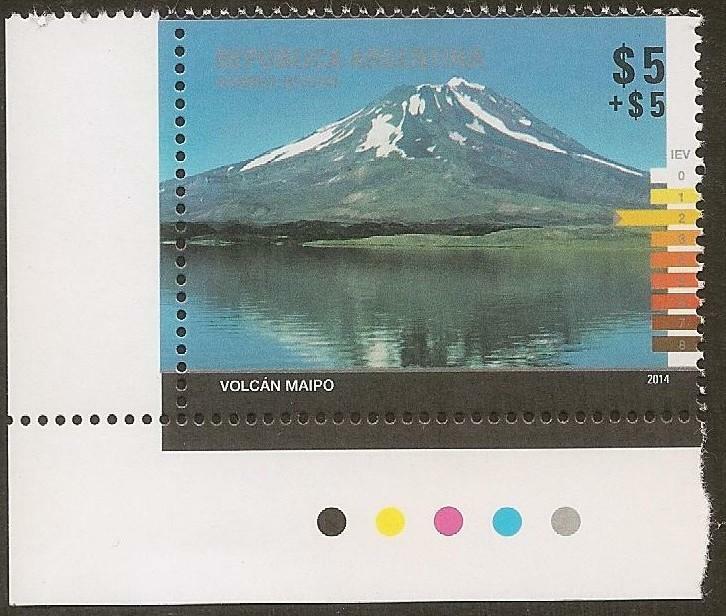 The stamp was designed by a French immigrant, Matías Pipet, who was also the writer of the single sheet on which were printed the seventeen emissions released until 1880, when they were nationalized postal services. 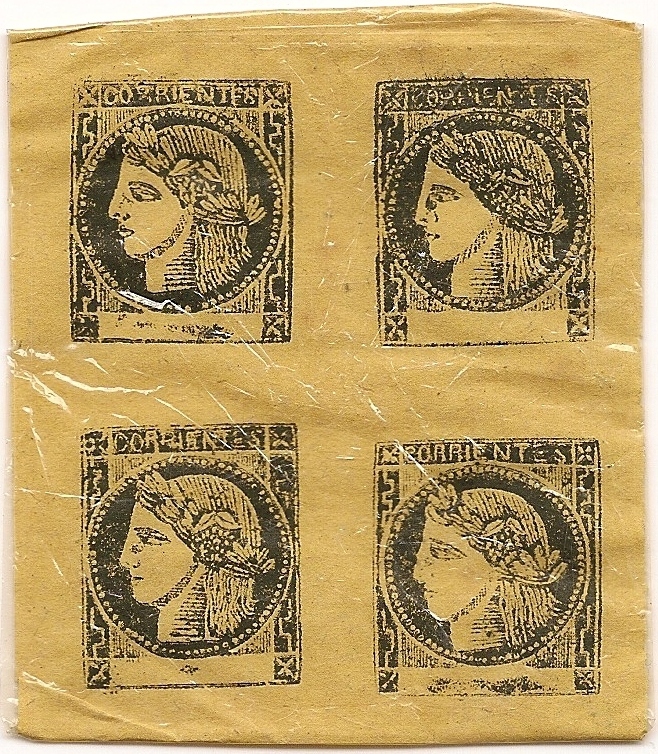 With Pipet matrix, the first stamps were printed in tissue paper, printed in black ink and the smooth contour. 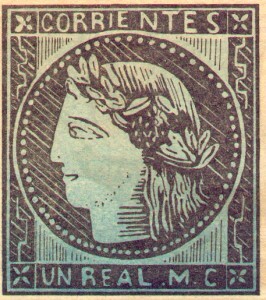 The stamp had the effigy of the goddess Ceres, Latin name of the deity of agriculture. The postage stamp had been commisioned to Pipet, by Dr. Juan Pujol, the Governor of Corrientes, who brought the idea of ​​the postal mark, in a trip he had done for Europe. Upon returning from his trip, Dr Juan Pujol, he established the postmark in Corrientes. In 1956, during the 100 years of the first Argentinian stamp, Argentina Post Office made a commemorative issue in honor of Dr Juan Pujol, who was the creator and promoter of the idea of ​​postmark stamp in Argentina. 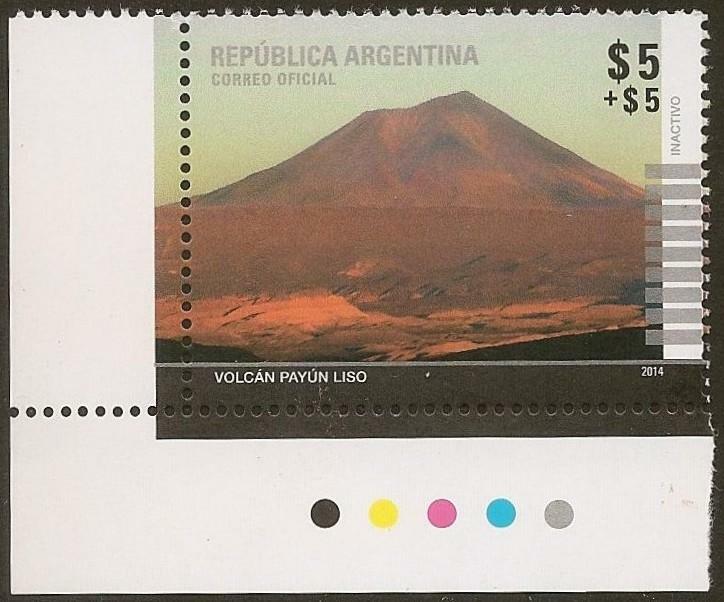 In tribute to the printing of this first stamp in 1953, the first Argentinian Congress Philatelic established on August 21 as the Day of Argentinian Philatelist. 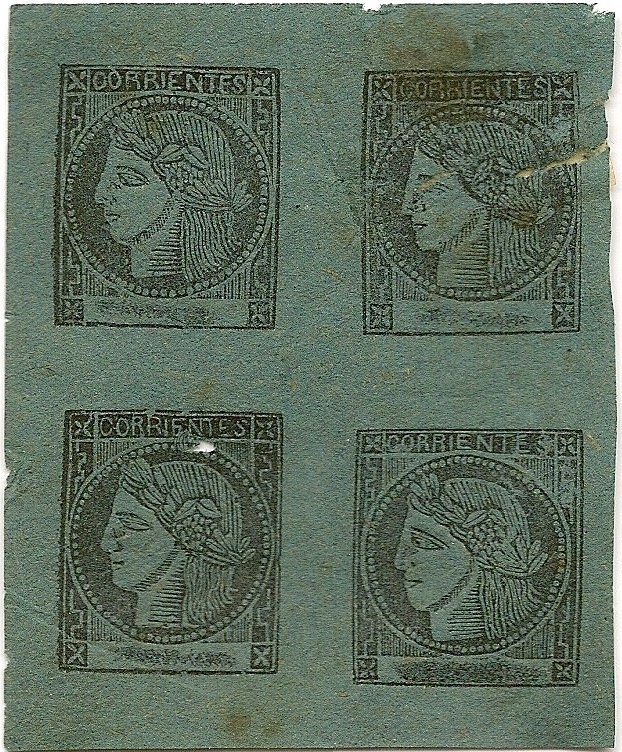 In the years 2006 to commemorate the 150th anniversary of the postage stamp of the goddess Ceres, the official Argentina post office (Correo Argentino), issued an stamp block sheet.